IT workers will commonly cite misconfigured hardware as a prime cause of technical problems and operational inefficiencies in business technology. That’s why, when your company buys a new set of used Cisco routers and switches, you should never mess with specific settings you aren’t sure about. For example, here are three configurable options on that used Cisco router or switch that are often better off left at their defaults. ● Creating a MAC address whitelist so only approved devices can connect to the network. ● Preventing port overload when someone attempts to connect multiple devices to a single port. However, there are many better methods for achieving these goals. It’s entirely possible to make multiple devices inherit the same MAC address, and a machine can be configured to use the same MAC address as another device on the network. Plus, port security notoriously messes with wireless access point compatibility. For these reasons, a Network Access Control system is a better method for fulfilling these purposes, and port security isn’t a necessary setting. A MAC address tells an Ethernet switch where to send data packets. Because a MAC address is longer than an IP address, more devices can be supported by the former system. Every device in a network has this unique identifier. Should a data packet transfer occur with a previously unseen MAC address, the switch will remember that address in a MAC table for use later. This process, found in many switches, is called MAC learning. Should a MAC address arise that is not already in the MAC table, the switch will attempt to send the data to all of the ports in a process called flooding in hopes that the correct destination responds. Flooding is incredibly resource-heavy, and its overuse results in reduced performance for the switch. That’s why MAC learning should be enabled outside of a few rare cases. 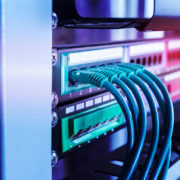 If multiple switches are connected in a circular loop, a network packet can be continuously forwarded through the loop indefinitely, causing server congestion. These loops can occur by accident when large networks are connected. Stopping loops manually is a challenge since the network congestion makes it difficult to find the problem. In a nutshell, spanning trees are a feature of network switches that helps prevent looping by finding and shutting down potential looping areas. Thus, have spanning tree enabled whenever possible. Could your business use some economically-priced hardware for the IT department? Want a used Cisco switch or router to avoid the high cost of new products without missing out on a warranty? Network IT is your answer. Our organization has been serving used and refurbished components and server devices to enterprise-grade businesses throughout the Toronto area for many years. Don’t believe the rumors that refurbished means low-quality. Get the trustworthy customer service Network IT offers at a price you’ll love. ● Misconfigured network devices result in inefficiencies and even technical failures. ● Some features are best left untouched. Spanning tree and MAC address learning should be enabled, while port security usually shouldn’t. ● Contact us at Network IT if cost is the biggest hurdle your IT staff is facing. A used Cisco switch and router with a generous warranty and excellent customer support might be precisely what you need. The Used Market for Corporate Electronics: How Much Can You Make Selling That Dell Used Server? The money you spend on server components isn’t gone forever. By selling Dell used servers after your company doesn’t need them anymore, you can get a portion of the cost back and help boost the budget. It’s thus beneficial to see buying new servers and equipment as investments, as reselling on the market later instead of throwing them out is a viable business tactic. Enterprise-grade hardware is often over-engineered to last long after all. Plus, companies can take advantage of the refurbished/used market to get quality, fully-functional components at low prices that can’t be found anywhere else. Whether you need an upgrade or just want to replace an aging component, never underestimate the used market. What Factors Determine Server Value? But how can you tell whether it’s worth selling that Dell used server? Different types of components have different degrees of demand. For this last point, try to buy from well-known brands, which sell better second-hand than products from obscure manufacturers. Dell, HP, and IBM are well-known brands that tend to sell well even on the refurbished market. How Can Servers Be Sold? There are several ways to get your money back selling Dell used servers. • The product can be recycled. Generally, items older than 6 years offer the most return when recycled. • The product can be broken down into components, each of which is sold. This option is ideal when the server’s functionality is compromised, but some of its parts are still working. • The product is sold as a whole unit. This option usually results in the highest return, but used servers aren’t always salvageable on the market. Finally, if you really can’t find an accurate price, search the eBay listings and find your product or other products like yours. Check the prices to determine a competitive rate. There is a huge market for Dell used servers. Newer companies are always looking for ways to cut down their costs. Used networking equipment is an easy way for these businesses to save thousands. Alternatively, you can sell to a reputable reseller, such as Network IT. We buy and sell pre-owned networking equipment such as switches, servers, and routers from all the top brands like IBM, Dell, HP, and Cisco. Going to sell Dell used servers or just looking to buy an IBM part for your IT department? Get a competitive price with generous warranties, excellent service, and reliable shipping with us. We’ve been helping enterprise companies throughout the GTA for over 2 decades and are ready to serve your organization’s needs in ways no other reseller can. • Just because it’s old, doesn’t mean it doesn’t have any value. Sell a Dell used server instead of throwing it out, and you might find a considerable boost to your budget. • The server’s age, model, condition, and brand all affect its value on the second-hand market. Do some quick research before putting up your listing. • Whether you’re selling whole units or individual components, Network IT is the best reseller for getting an excellent price. https://www.netnit.com/wp-content/uploads/2019/02/bigstock-Network-cable-in-switch-and-fi-267727630.jpg 601 900 admin https://www.netnit.com/wp-content/uploads/2017/08/netlogo2-300x73.png admin2019-02-11 21:18:002019-02-11 21:18:00The Used Market for Corporate Electronics: How Much Can You Make Selling That Dell Used Server? Studying for any exam is tough. Exams that require you to think analytically and do not allow you to subjectively answer questions are brutal. The difference between a correct answer and a mostly correct answer can cost you a pass rate on an exam. When studying for IT exams, you need to be as capable as possible regarding your coverage of the exam’s subjects. Whether you are new to the IT industry, or you have many years of experience, you should use every advantage available to you to pass your exams. When it comes to Cisco certifications, you should purchase the relevant equipment you need whenever possible. Doing so will allow you to contextualize your learning, and will make you a better candidate to take and pas your exams. CCNP is a level of IT certification that many professionals in the IT field obtain at some point during their careers. IT is an odd field, career-wise, since it is not dependent on any one degree, experience, or certification. Obtaining and maintaining a career in this field is meritocratically holistic in this way. However, that being stated, there is a sense of accomplishment, both personally and professionally, if you can obtain a Cisco certification. Cisco is one of the most well-known and well-respected IT companies in the world. They are an industry leader. If you can pass their exams and obtain their certificates, it looks very favorable for you and your resume. Why Do I Need CCNP Equipment? When preparing for exams in general, you obviously have multiple routes and strategies open to you. You can pay for a class. You can pay for books and take your time learning the material. You can purchase equipment and get hands-on practice for testable subjects. Purchasing equipment is probably your best option if you want to pass the exam and actually using your certification to the fullest. Hands-on experience will help you in your exams. Even after obtaining your certification, you will need hands-on experience on the equipment you were tested on. Regular practice will help you understand the difference between theory and practice. Bootcamps are often too quick and too expensive. Self-learning through books often leads to a situation where the technologies you are studying have become outdated by the time you read about them. This is due to the fact that books take a long time to write, edit, and publish. Technology is moving so fast! The best thing you can do is purchase equipment. If you want, once you are done with the equipment, you can always sell it. Once in your possession, hardware rarely changes. Sure, some upgrades may be done to it, but you can easily control the state of your hardware. This makes hardware a great asset when studying for a test. You can study for your test, comfortable in the knowledge that your lessons will continue to be productive, and that your equipment will continue to work perfectly. So, when studying for your CCNP exam, consider purchasing equipment to score the best score possible. For the best options available regarding used Cisco Equipment, like CCIE Equipment, CCNA Equipment, and CCNP Equipment, contact Network IT. We have helped many IT professionals purchase equipment for their exams in and around Toronto and the GTA, and the surrounding areas. To learn more, or to purchase hardware of your own, contact us at our website today. Many companies are on the cloud nowadays. You write your documents in Google Docs, download them to your drive, email them to coworkers, and then print them over wifi to your office printer. However, by utilizing hardware, you can retain greater control over your network and over your data. POE switches can increase your network’s productivity, as well as your ability to protect your network’s data. Here are two main reasons why switching to POE (power over ethernet) may be right for you. Each of these reasons have sub-reasons. All in all, switching to POE can be incredibly beneficial. If you have not used POE switches, you should. The installation of such switches can really help your business, as well as lower your business expenses. There are three ways that you can save money by making the “switch” to used POE switches. First, used switches cost less money and they are very similar in function and output as new switches. If a previous owner takes good care of his or her hardware, it is plausible that their switches can last a very long time. By buying used, you are saving a lot of money, rather than having to buy new switches at a premium price. Especially when it comes to buying used Cisco products, buying used is just as rewarding as buying new equipment. Second, POE switches are less expensive than Gigabit switches. Sure, your rate of data transfer is slower and the process of transferring data will take longer but, if your business is not transferring much data, it does not really matter much. Of course, if your business was a hot new tech startup, that would be a different matter. Third, POE switches are less costly to replace. They are simpler to install, provide great value for their cost, and less expensive than other forms of switches. This means that you can buy multiple switches without leaving a dent in your expenses budget. Having extra switches in storage at the office can be a lifesaver years down the road when you need to replace a piece of equipment. POE switches are used to extend power from a centralized source to peripheral devices on a business network. For example, a simple example of this is where you connect a POE switch to a power bar, and then attach a security camera to that POE switch. The POE switch acts as a middleman between the device and the power source, rather than directly connecting the device to the power source. There are two main benefits for this network setup strategy. 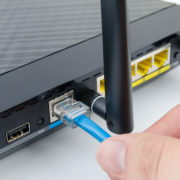 First, it is easier to connect and disconnect specific devices from a network. You have a greater amount of control over your network, as well as the power generation, output, and direction of that network. Second, the scalability of your network is increased. Depending on the ports present on your switches, you can add new devices to your network. Each port can support one new device. This allows you to connect an exponential amount of devices to your network, rather than be limited by the ports on your power source. For the best in used Cisco routers and switches, especially used Cisco POE switches and used Cisco gigabit switches, contact Network IT in Toronto and the GTA. To order some POE switches, contact us at our website today. When it comes to IT training and development, your staff can never have enough. Some of the best training is applicable to work and hands-on. Providing your staff with the server parts and training opportunities to fix your servers is a great way to ensure that your servers are able to be maintained and secured for years in the future. Many businesses either require their IT staff to continue their education on their off-time, or send these staff to expensive bootcamps to learn more about a particular technology or information technology subject. While both of these strategies can work well, it is often hit-or-miss. Requiring IT staff to create their own education often ends up in a situation where your IT staff has trouble collaborating, because they do not have baseline knowledge of what you want them to know. Effective communication is a very important part of running any business, especially when you depend on things like business networks and the cloud. Expensive bootcamps will provide this baseline knowledge, but they are very expensive and often very short in duration as well. Sending your IT staff on weekend retreats to cram two weeks’ worth of material into 3 days is not productive for anyone. Purchasing used server parts and letting your IT staff take a half day off twice per week to collaborate and work together on a business task (a task that is apart from their regular duties) is a great way to ensure that your servers are secure and your IT staff are trained well. Making purchases in advance is usually money saver. Server parts are usually in abundance when the servers are still available on the market. It is only when newer servers are created, and server parts for these servers are no longer maintained and produced, that the price of these parts rises. You can save your business a lot of money in the future by purchasing the parts you will need in advance. That way, when your servers go down (servers age and can “die” when parts stop working, just like any machine), your IT staff will have the parts with them to fix the server. You can have your server back up and running within a few hours, if not by the end of the workday. This is an amazing convenience. This is what is known as “future-proofing.” you are acknowledging a problem that your business will encounter (all businesses do eventually unless they subcontract out their IT duties), and you are fixing the issue before it even occurs. Business solutions like these ensure that your business will be stronger, and able to compete better for customers. Regardless of whether you are buying HP used servers, buying HP used parts, selling HP used servers, selling HP used parts, buying IBM used servers, buying IBM used parts, selling IBM used servers, or selling IBM used parts, doing so has many benefits for your business. Network IT in Toronto and the GTA can help you train your IT staff better, save money, and ensure that your business data remains safe and secure, even if your server goes down. For more information regarding the benefits of used servers, contact us at our website today. Many people buy phones for their business based on functions like the phone’s button layout, cosmetic features, and use of integrated technologies like Internet connectivity. However, there is one important feature that more business owners and operators should consider when purchasing a phone: how well the phone can withstand a range of temperatures and continue functioning. The weather is not a qualification that many people consider. We expect our phones to work under any condition, after all. We would probably expect our phones to work in the void of outer space! However, phones are built differently, and the phone you purchase can have an effect on your operating budget, especially if you have to keep replacing it because it cannot withstand a little cold or a little heat. 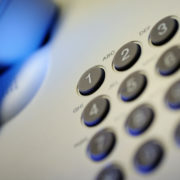 Here is what you need to know regarding business phones and the weather. After a while, every electronic breaks down when left out in the cold. The difference between phones depends on how well-built they are. Different types of phones have different breaking points. Like most devices, consumer lines of phones tend to break easier than business product lines. This is due to the inherent understanding of what these phones are best used for. Consumer phones are meant to last a year at best. While some phones can and do often last longer, it is common for people to change their phones after a year. A user may be able to upgrade their phone with their phone company. A user may have scratched the screen, and may want a new phone to replace it. A new phone may simply have better features that a user wants. Business phones are built to last much, much longer, and they can sometimes last decades. While business phones can do some very complex things, the functions of a business phone have not really changed in the past decade. Anything that a business phone cannot do, a laptop or even a smartphone can. For most business owners and operators, there is no need to replace a perfectly good functional phone like Cisco’s CP-7961G. Cisco phones are built to last. Cisco is an industry leader when it comes to IT hardware, and its phone lines are no exception. Phones like a CP-7961G can operate at temperatures ranging from 0 degrees to 40 degrees Celsius. 40 degrees Celsius is so hot that airport tarmacs can start melting at that heat. 0 degrees Celsius is the freezing point of water, which is very cold. It is amazing to think that your Cisco phone will continue to be able to operate under such conditions. Your phone can withstand an even higher rate of temperature divergence if left in storage. When in storage, your Cisco phone can be kept in conditions from -10 degrees to 60 degrees Celsius. All you have to do is remove it from storage, plug it in, and voila! Your phone still works. Used Cisco IP & wireless phones are great investments in your business. With their ability to operate in a wide range of temperatures, phones like the used Cisco CP-7961G, used Cisco CP-7942G, and used Cisco CP-7962G will work for decades! To purchase a business phone of your very own, contact us at our website today. Network IT in Toronto and the GTA can take care of all your business phone needs throughout Canada and the U.S.. The CCNA is a certification that many IT professional attempt early on in their careers. Depending on your choices, you can either sit one exam or two in order to receive this certification. While studying for more basic certifications, it is not necessary to purchase equipment since rote memorization can help you enough to earn a passing grade. However, with the CCNA exams, you need to learn theory and put it into practice in order to study effectively. The need to purchase equipment can be daunting, especially if you do not know if you will need the equipment after passing the exam. Many IT professionals sit exams like CCNA certifications in order to gain a wide breadth of knowledge in IT, even though they may not need the knowledge. Routing and switching knowledge can be valuable in many different areas of IT, from project management, to security, to networking. Regardless of your field of speciality in IT, basic routing and switching equipment, as studied on the CCNA exams, will be useful in your labs. Purchasing quality materials and hardware early on is an investment. The more money you invest into quality hardware, the better your home and office labs will be. A network switch is a piece of hardware that allows you to connect multiple devices together on a network. With a switch, you can send, receive, and update data. Learning how switches work and how to configure them will help you on your CCNA exams. A network router is like a switch, but the former can be used to send data outside of your computer network. With a switch, you are regulated to only your network. 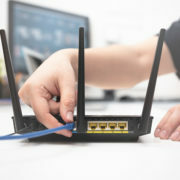 If you want to learn about routers and how to configure them so you can exchange data between networks, you will need to purchase and setup a router. Cables are usually thought of being separate components in and of themselves. 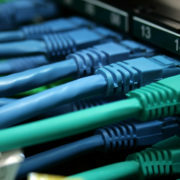 However, cables simply allow switches and routers to pass data to other devices and networks. Depending on the device, you can use patch cables, twisted pair/coaxial cables, or optical fiber cables. To excel at networking, you will need to know how cables work, and how to use structured cabling practices in your network. The CCNA exams are not difficult. They do require, however, that you have a certain amount of knowledge in routing and switching. Successfully studying for, and passing, these exams will show that you are ready to take on a networking role in a company. Studying, however, will take time, money, and effort. You should maximize your chances of success on the CCNA exam by purchasing the appropriate equipment. Every networking professional should create a home lab in an area of their home. This lab does not need to be big. It is possible to contain the lab under a desk. You need a way to configure and access various devices, both in and outside of your network, in order to learn networking. Connect your computer, smartphone, printer, and more, and learn how they interact with each other. The CCNA exams will challenge you. They are an essential stepping stone into becoming an IT professional. Luckily, with used Cisco Equipment, like CCIE Equipment, CCNA Equipment, and CCNP Equipment, the process can become more manageable. For the best used equipment for your Toronto or GTA home lab, contact Network IT either in-store or online at our website today. https://www.netnit.com/wp-content/uploads/2017/08/netlogo2-300x73.png 0 0 admin https://www.netnit.com/wp-content/uploads/2017/08/netlogo2-300x73.png admin2017-07-02 22:40:522017-07-02 22:40:52Hello world!